Update! Things are different in my life now. I quit blogging, got a divorce, fell in love, had a baby, and am moving my life from here at heythattastesgood.com to a new place, where I talk about being a mom, but also post gluten free recipes still. It's new, and a work in progress, and I'm leaving this site here because I stand by my recipes, but my life is different now. 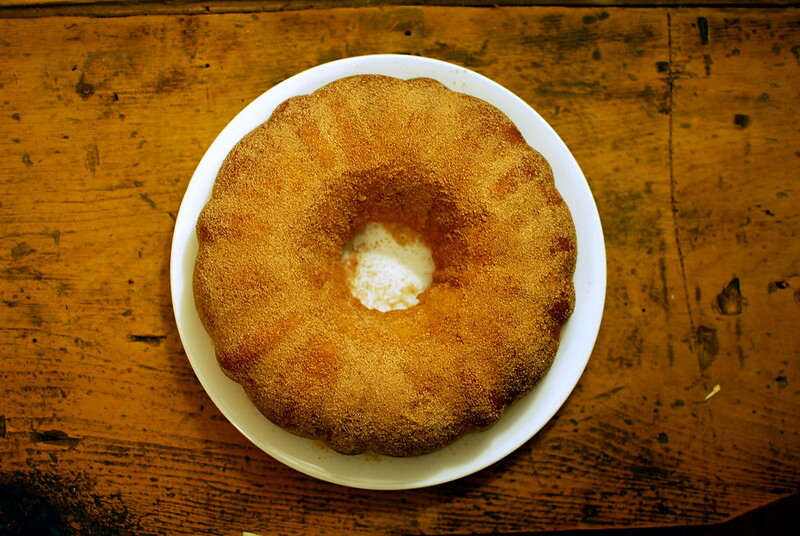 Hi it's fall and this is a delicious cake that tastes like apple cider donuts. This is a good thing for a cake to taste like since I have yet to find a gluten free apple cider donut. Preheat oven to 350 and grease a bundt pan (I have also successfully made this in an angel food cake pan). Combine cider and apple in a saucepan and cook until apple is mushy, then puree and measure out 1 cup. Set aside to cool. Combine flour mix, xanthan gum, baking powder and soda, salt and nutmeg and set aside. Beat butter and sugars and light and fluffy, then add eggs one at a time, then mix in oil and vanilla. 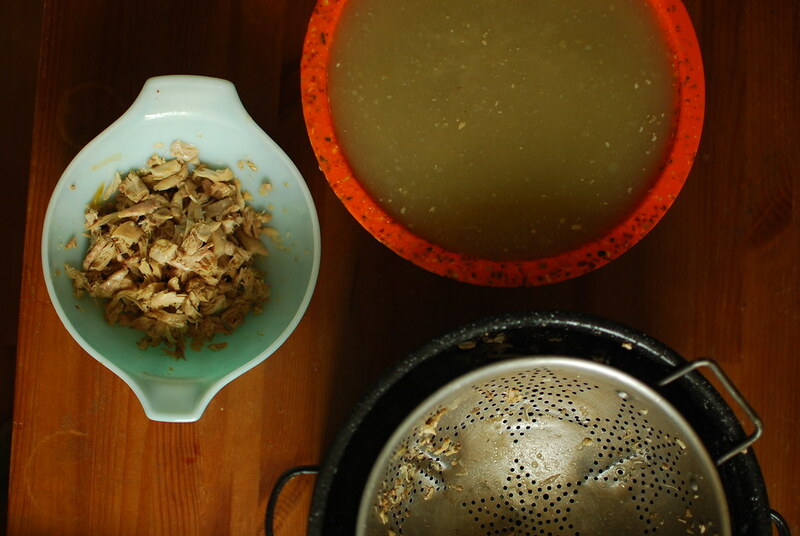 Stir milk into cider mush. Add flour and cider mush alternately, starting and ending with the flour in three additions. Scrape into a pan, bake 45 minutes until a knife comes out clean. Cool in pan 10 minutes, then flip out onto a plate and press cinnamon-sugar mixture into the sides. We've been fermenting a lot. 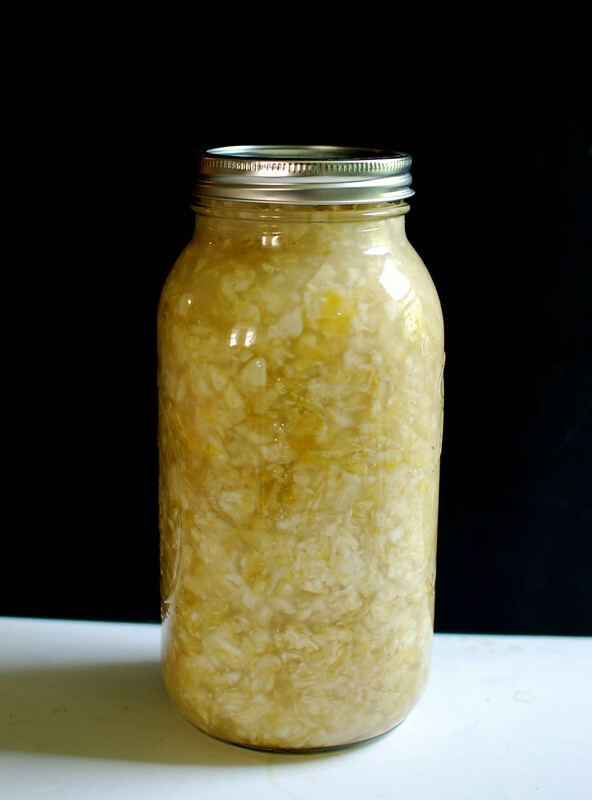 There is always one or two jars of something fermenting in the dining room, and garlic sauerkraut is my favorite. This is the easiest thing to do in the world. 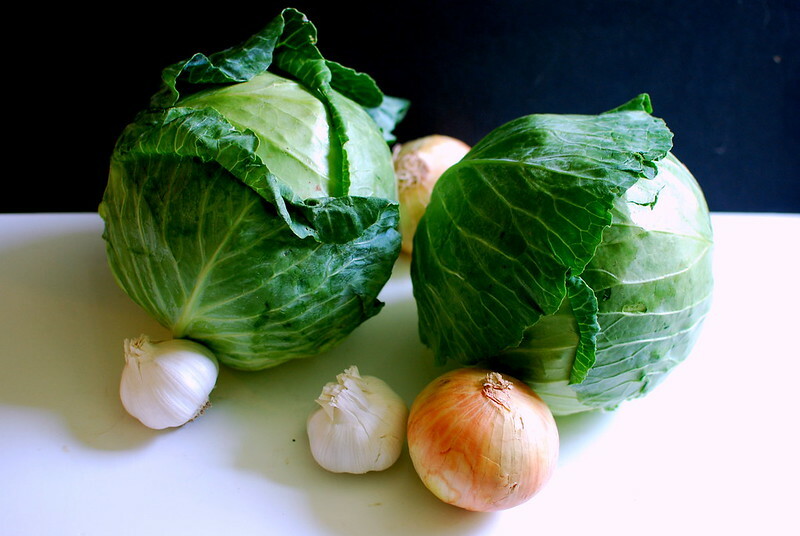 All you have to do is chop up some cabbage, massage in some salt, mix in some garlic cloves or maybe a chili pepper or something, and let it sit for two week or more. Maybe just a week if you're impatient. This is a basic recipe, you can add whatever you like. A few carrots, some garlic, ginger, mustard seed, pepper corns, any spices or onions or things you like. My favorite thing to do is to cook kielbasa in a pot full of garlicky sauerkraut with a tiny bit of stock. Yum. Shred the cabbage. I use my Vitamix, Alex does it with a knife, you could use a food processor also. Massage in the salt, squeezing and loving until the cabbage starts to release its juices. 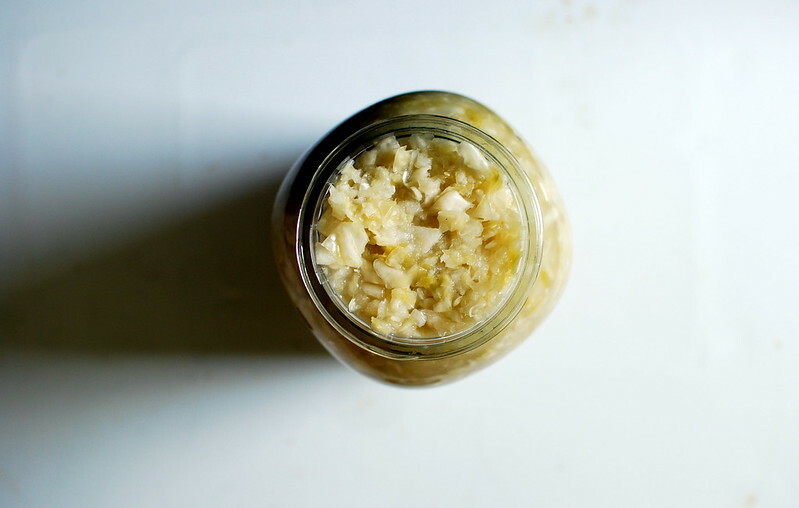 Toss in the garlic and anything else and pack into a jar. Now is the creative part! What needs to happen is the cabbage needs to be weighed down somehow. What we usually do is fill up a large gallon bag with water and smoosh it into the jar so there's no air (or good places for bugs to get in). Now you can set your jar somewhere slightly cool to do its thing! Taste it in a week or so and see if its ready. Or leave it alone for a long time. Store in the fridge, I guess. Hi! It's summer. As in, 95 degrees all week summer. I've been craving a delicious sweet cold dessert that's not a Popsicle. I saw this recipe in a magazine and promptly tore it out. I know I saw this all the time, but this is seriously so easy. Three steps, six ingredients, and wow is it good. First you make a 'graham cracker' crust with smashed up cookies and butter. I use Mi-Del arrowroot cookies, they taste like animal crackers and are something like $3 a bag. 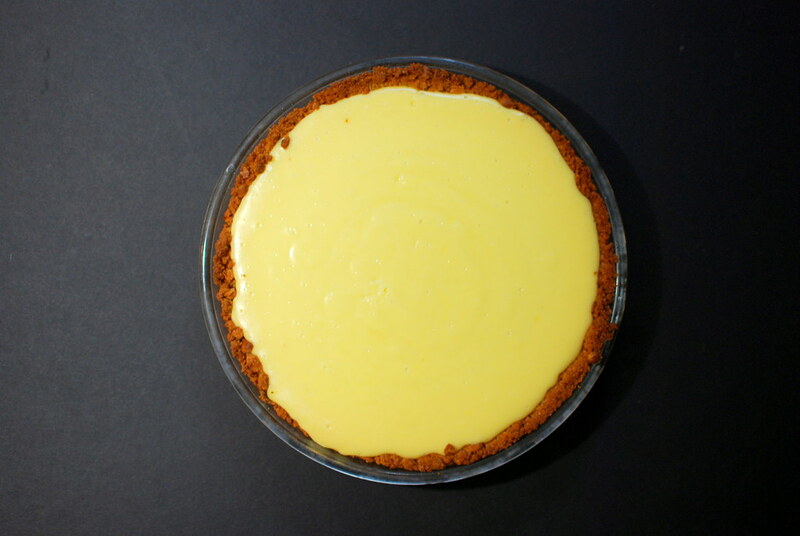 That bakes for 10 minutes, then you pour in a 'custard' you've made from sweetened condensed milk, egg yolks, and lemon juice. Once that's cooled, you make whipped cream from heavy cream and a little bit of leftover sweetened condensed milk, and ta-da! A really fancy looking pie. Preheat your oven to 325. Mix your smashed cookies with the butter and dump into a pie plate. Tear off a piece of plastic wrap the same sie approx as your pie plate, lay the plastic over the cookies, and smash them into the shape of a pie crust. Bake the cookie crust for 10 minutes, then remove from the oven. 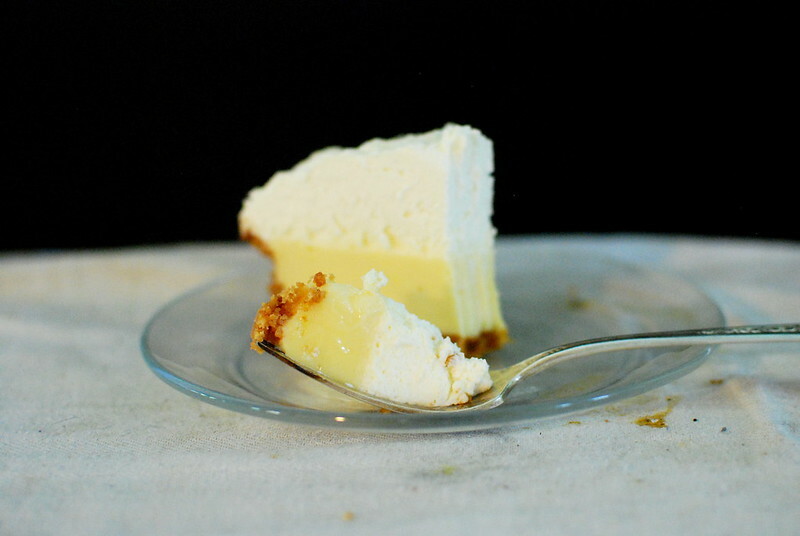 In a medium bowl, mix together the lemon juice, egg yolk, and most of the sweetened condensed milk - save a few tablespoons to use in the whipped cream. 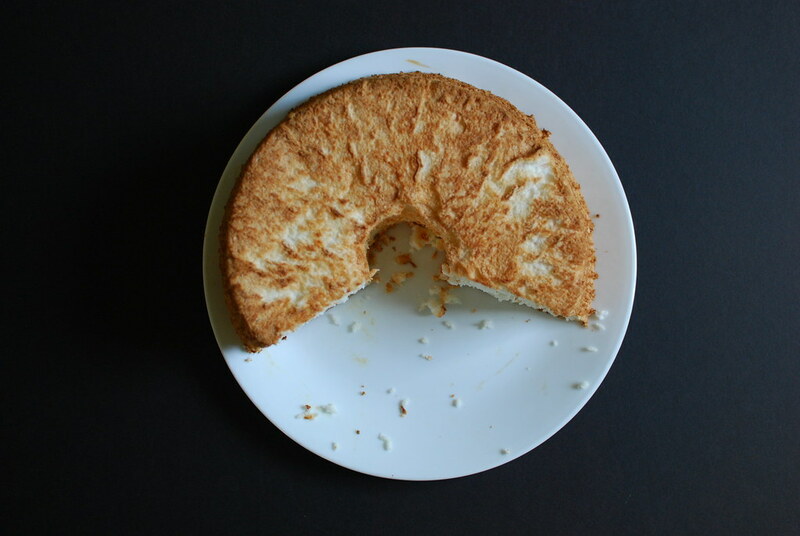 When your milk-lemon-egg mixture is all mixed up, pour it into the waiting crust and bake for 15 minutes. 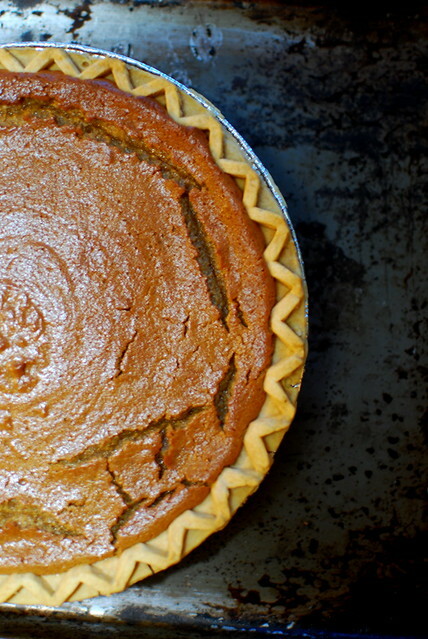 Cool completely (you can speed this up by sticking the slightly cooled pie in the fridge). When the pie is cool, make the whipped cream by dumping the cream, a few tablespoons of leftover sweetened condensed milk, and maybe a splash or two of vanilla or triple sec into the bowl of a mixer. Beat for a few minutes until the cream mix turns into whipped cream. 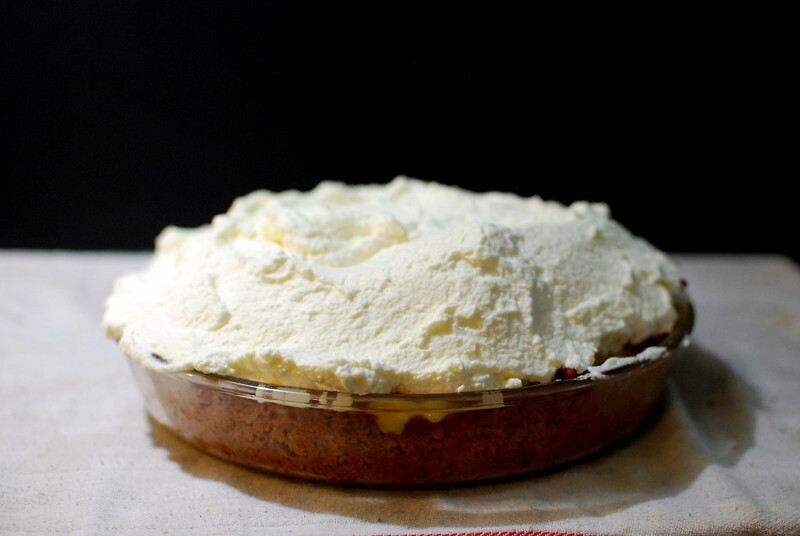 Spread all the whipped cream over the pie and serve to your impressed guests or husband. Do you guys do this? 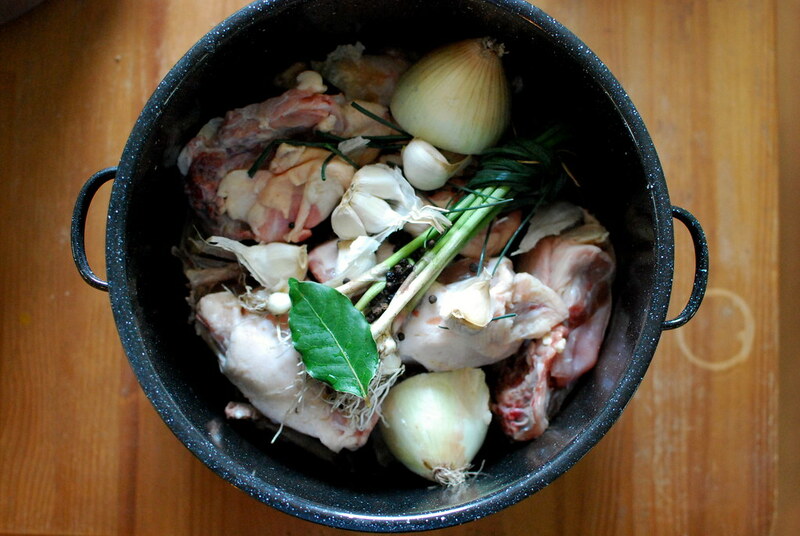 Save all your chicken parts in the freezer to use for stock? This is a great trick. So here's what you do. Collect chicken pieces in your freezer in a bag and then when you're ready, dump all the frozen parts in a pot with some fresh pieces if you have any (I buy chicken backs sometimes, they're super cheap). Then you half an onion or two, toss in a handful of garlic, a bay leaf or two, some peppercorns, and whatever else you have lying around. Fill the pot up with water and bring to a simmer. Cook for an hour or five, cool, pull out any meat that's left, and strain the stock. Toss all the solids, cool the stock, and skim off the fat. 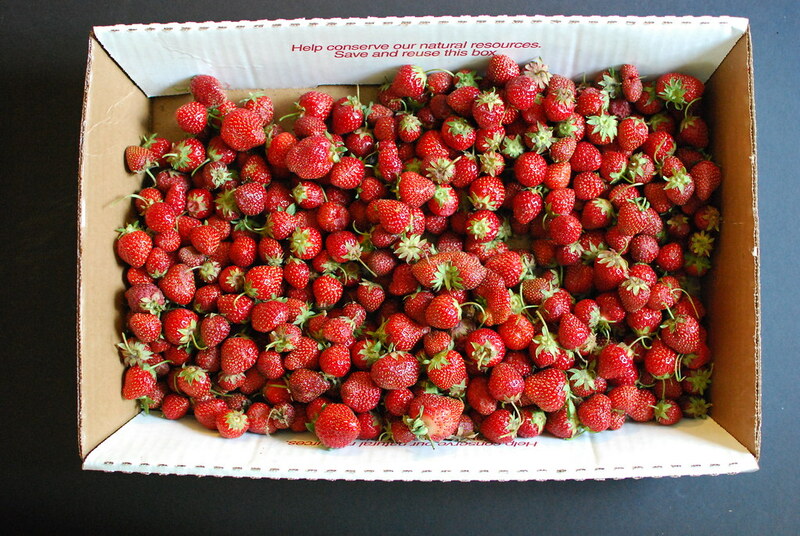 Pour the stock into containers and freeze, or pressure can, or use immediately. Oh hey guys, what's up with you? I've just been hanging out, making pies. Remember when I made sugar pie? Aka my favorite pie ever? I do. I made it today but this time for an adventure I made it with coffee. It wasn't a crazy thing to do, it was awesome! 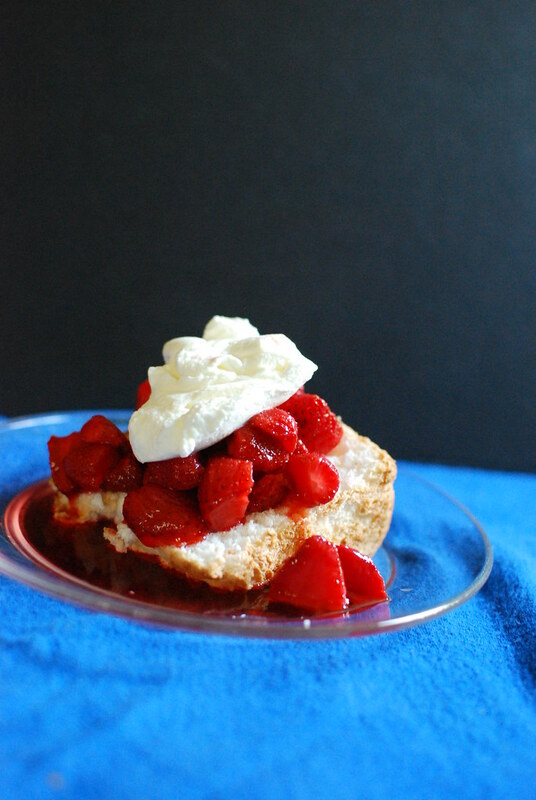 This is kind of custardy and puddingy and sweet and coffee-ey and oh so good. 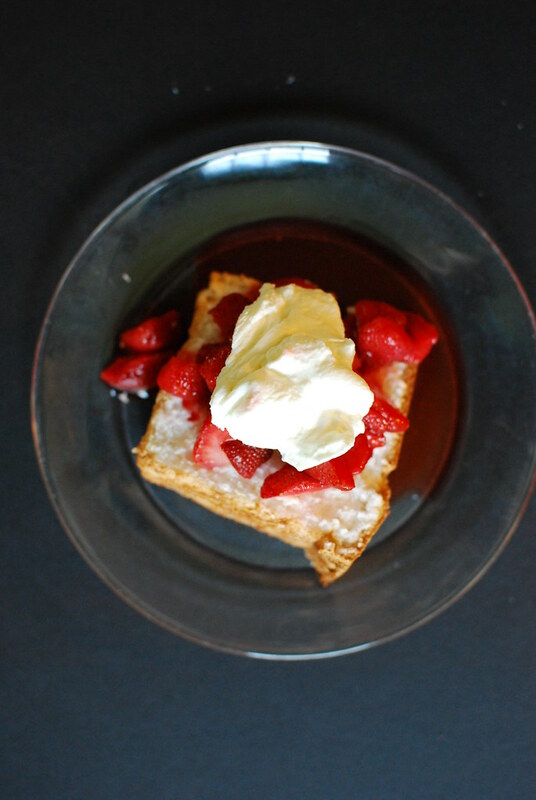 Serve this with very lightly sweetened whipped cream. 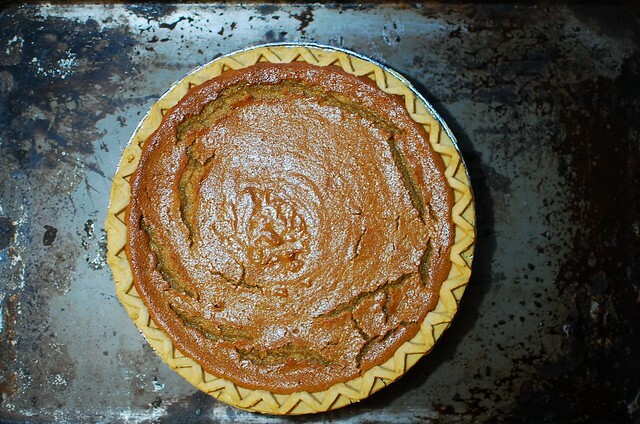 Thaw out your pie crust (I use Wholefoods GF pie crusts) and preheat your oven to 350. Combine the sugars, cornstarch and salt in a saucepan. Beat in the eggs, then stir in the milk and coffee until well combined. Turn on the heat to medium and cook, stirring constantly, until bubbles and thickening. Stir in the butter and the vanilla until fully mixed, then pour into the pie crust. Bake 45 minutes to an hour, mine took closer to an hour. It's done when it looks a little set when you jiggle it. Cool most of the way and then EAT!